What do you do when the products you want to use aren’t on the market? If you’re Carolyn Li Ming Geh (Li), you invent them. While Li had always had sensitive skin, it wasn’t until she moved from Malaysia to Canada for college that her skin sensitivities got worse. As a child, Li’s father, an engineer, instilled in her a love for creating things using natural ingredients instead of chemicals, including food items such as soymilk and yogurt. Li struggled to find skincare products that worked for her so she decided to tap into her childhood experience of sourcing her own raw plant-based ingredients, including guava fruit, turmeric root, cajeput, tamanu, vetiver, rice, and coconut, and developing a few formulas to address her skincare needs. When Li informed them that she made her own products, they strongly encouraged her to launch her own skincare line. 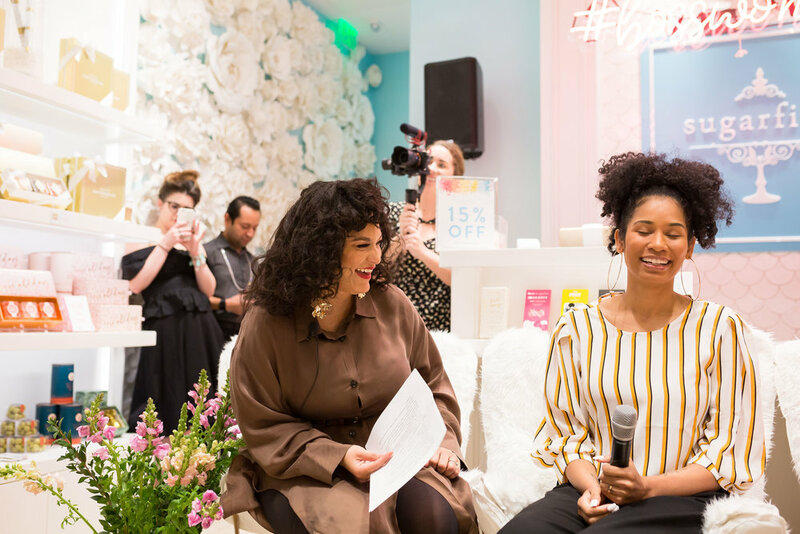 As Li prayed about taking the leap to start her own business, Li decided to launch a skincare service brand that was not just nourishing for the skin, but also good for the soul. She wanted her skincare line to encourage women that beauty is much more than just skincare. With that purpose , Li Organics (www.liorganics.com) was officially launched in Jan 2019. Li had also had a dream many years earlier that had never left her and in that dream she built a school. She decided that 10 percent of her company’s profits would go to building classrooms and schools in poverty zones. Attending school had always been a joy for her and opened up a lot of opportunities for her to go to Canada and the U.S. and then later travel to many other countries, which opened her up to a much broader world beyond her village. Megan Montgomery is a marketer by day, writer and avid traveler by night whose home base is NYC. She has a passion for “all things kids” since she is a big kid at heart and has been involved in international missions for 15+ years, traveling to 25 countries both for missions and personal travel. Ogo Ekweozor-Holley is the epitome of a serial entrepreneur. 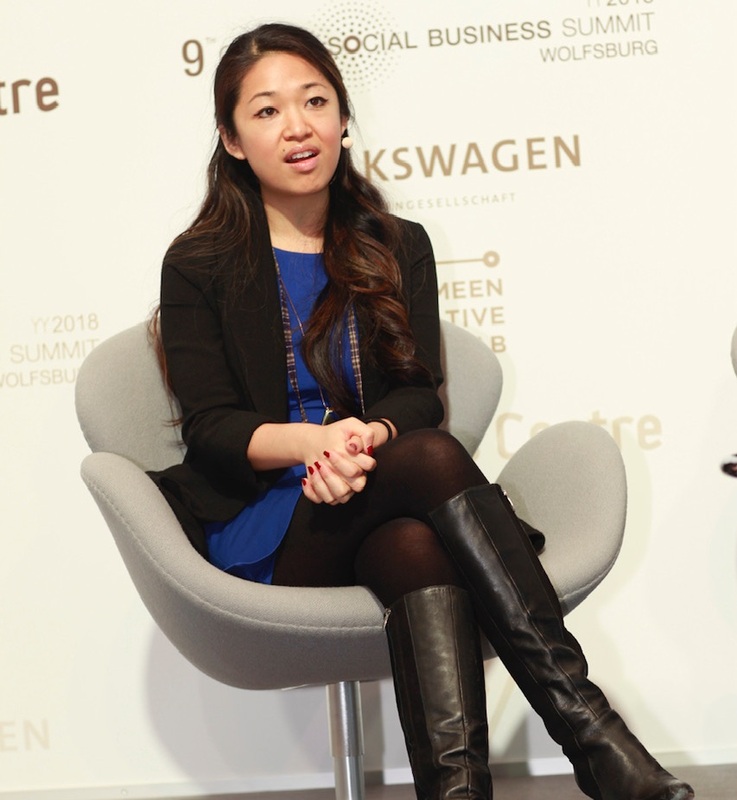 After obtaining her law degree at 20, Ogo has since founded six companies with a seventh on the way. Her companies have spanned multiple industries, including fashion, real estate, and an agency generating funds for non-profits. She is the founder of her eponymous fashion line OGO New York, which has an online and physical storefront in Brooklyn; and Style Chest which offers personal styling boxes direct to your door. Ogo has a strong passion for giving back as well and founded the True Beauty Foundation which offers events designed to inspire and empower women. She created the True Beauty Conference in 2012 to provide an affordable, educational, and inspiring event for professional women and entrepreneurs. Her achievements are frequently recognized with awards including the YWCA’s Woman of Distinction and Economic Development award, Brooklyn Reporter’s Power Woman in Business, and Third Avenue Association’s Business Pioneer Award. And, if that doesn’t keep her busy enough, she is also married with three very active children under the age of four. When I met Ogo, the first question that came to my mind is “how do you do it all?” And, yes, Ogo is a firm believer that you really can do it all. She believes that it is possible to have a happy marriage, fulfilling career, solid friendships, and still have quality time with your kids. “It’s not about work-life balance, it’s about harmony and finding a way for all of the things that are most important to you to sync together,” says Ogo. “If you are involved in a lot, you need to be really intentional about staying present with what you are engaging in at the time, whether it be with the kids, husband, friends or a work meeting.” To help her do that, Ogo will frequently turn off her phone or put it in another room so she can really focus on the person or task in front of her. She also finds that she prioritizes better when she starts her day with quiet time with God. As a Christian woman who owns a business, Ogo looks for ways to live out her faith in everything she does. She does this by treating all employees and customers in ways that honors and values them, being ready to be a listening ear, and praying for people when they are going through something. She also leverages her businesses to give back to various charities including ones involved in stopping human trafficking and supporting education in underprivileged areas. Ogo is in the process of expanding her True Beauty Foundation to provide resources to teenage girls through afterschool programs focused on leadership development, business management, and entrepreneurship. Learn more about Ogo and register for the sixth annual True Beauty Women’s celebrationon Thursday, April 25, 2019. Marty McDonald, left, with Sopha Rush at her Black Girl Magic Event. A builder, a corporate queen with a few hustles on the side, and a super ambitious go-getter – this is how Mary McDonald, founder of Boss Women Media (formerly Boss Women Who Brunch), describes herself. Confident? Yes, but she has the data to back it up. Presently, Boss Women Media is one of the fastest growing women’s empowerment businesses with a 650 percent growth in 2018 over the previous year. Marty majored in Interior Design and Architecture at University of Tennessee at Chattanooga. She initially planned to major in fashion design, but her dad refused to pay for that degree and gave her other options for her future. Marty followed suit and spent four years as an interior designer before moving over to brand marketing. She decided to go back to school for an MBA and soon found herself on the corporate grind. But Marty wasn’t there yet so she continued to work hard at her corporate job as the head of brand innovation and development for a Pizza Brand. She was responsible for their advertising and marketing promotion plans for about 500 restaurants nationally. It was a job that she was recruited for while heading up marketing and advertising for a luxury high end brand, where she was responsible for 16 restaurants averaging about $40 million in revenue a year. The excitement of working in a new environment where she could learn from “really smart people who went to top business schools” drew her to the pizza brand. Not all of Marty’s lessons were positive, but each one provided her with the opportunity and ammunition she needed to become the person she is today. She found herself constantly trying to prove her worth by working 60-70 hours each week. In the end she walked away learning how to create pitches, make her voice heard and, most importantly, how to use data as the motivating factor to influence clients. She describes this the most painful job she’d ever had and she tried to find solace and a network outside of work. That was May 2016 and she poured herself into new company whenever she had time away from work. Then, after missing the mark on a project with a new CMO at work, she started questioning her worth, yet again. That’s when she knew it was time to call it quits. Surprisingly, her husband agreed, and she handed in her resignation in November of 2017 and hasn’t looked back. Since then, Marty has become a force to be reckoned with and turned Boss Women Media into a nationally recognized media company that hosts conferences, meet-ups, and empowerment events across the country. Here are some nuggets that she dropped during the interview about quitting her job, launching her business, and building a brand that lasts. Brittany: You decided to quit your job. How has that transition been? Marty: The first two months, I was busy planning the conference, so I was good. When the conference was over. I slept in and watched TV for two months. Then my husband said, what are you doing? I went into a depressive state of not knowing what to do. The advice that I give women now is that you have to have a plan. So, when you pivot in the plan, that’s ok just make sure you have a plan. I was ready to empower myself to jump but after the jump, I didn’t know what to do. You don’t have to know everything that you want to do just have to have a plan. I knew what I wanted it to be so I had to put all of my effort and energy into it. I knew that I had to go figure it out and let people help. I know it's a mindset though and even if you’re the most talented but you’re not consistent, nobody cares. Nobody cares because you're not consistent and you don’t show up when you’re supposed to show up. But then also you need to believe that you can do it. Brittany: What were some of the lessons you learned in the process? I learned how the companies that I worked for did business. The luxury company prided itself on experience. So that was my biggest learning from working there. At the pizza brand, I learned how to manage a P&L and what the life cycle of business look like. I know how to use the right terminology. The best gift that we can give ourselves is learning how to run effective businesses. If you don’t have the time or energy to do something, find someone who can help you. Marty: I just came from Michelle Obama’s Becoming event and just her rawness, her truth, I really admire Michelle. I just love being around badass women. Women who had nothing and created something. I just love being in a space with women like that. But, more importantly, women who are not afraid to take what they have learned and pour it into other people. I am also inspired by women who think differently, too. One of my good friends right now is a woman who is 15 years older than me who believes in me and pours into me. She believes in me more than I believe in myself and shows me how to get things done. Women like that inspire me. Brittany: What advice do you have for side hustlers or people who are thinking about taking a leap. Marty: I would say for the girl who is side hustling, be clear on your why. Why are you even doing what you’re doing? Because your why is going to be that ticker in the back of your head that tells you to get going. It can be because I want to create generational wealth. It's never about you either. It’s always about a bigger cause. At the end of the day, if you have credentials and you have education, you can always go back. Why not bet on yourself? We play safe as black women all the time. Society tells us, do you know how lucky you are to be sitting here in this space at this time at this table at this company? But, do you know how much the world is missing out on your talents, on your gifts? All that you have to offer that you leave at the door when you walk in here? Brittany: So, what’s next? Where do you see yourself five years from now? Marty: I want to tell my story a little bit more. I know that I have focused on bringing women to the table to tell their story. So that’s on the horizon, but also just changing the way that women connect. Changing the way women connect in the digital space. So that’s on the horizon. And we want to practice what we preach so in the fall we are going back on tour and doing a pitch competition where we allow women to sell their ideas so that they can get the funding that they need to thrive. And then eventually the goal would be to have a space that can serve as an incubator for females/ black women co-working space and have that in multi cities. Right now, I am a wife, and a dog mom but I am professing and claiming to the universe that I want to be a mom in 2019 (I think). To keep up with Marty, join her in NYC for her “Black Girl Magic” tour. Women are powerful. At least that’s the sentiment of many who posted, rallied, and supported the UN’s annual International Women’s Day celebration today. International Women's Day is a global day celebrating the social, economic, cultural and political achievements of women - while also marking a call to action for accelerating gender balance. The first International Women's Day occurred in 1911, supported by over one million people. Women, it’s time to USE YOUR VOICE to ENCOURAGE the young and the not so young, to BUILD, to BLESS, to SPEAK TRUTH, to INVITE others in, and to tell the never-ending story of hope, faith, & LOVE 💕 The earth needs its DAUGHTERS. The Lord announces the word, and the women who proclaim it are a mighty throng. "When women miss out on careers, education or opportunities because of the system that they live in, we all suffer." - Megan Markle, Duchess of Sussex. To commemorate International Women's Day, Meghan Markle participated in a panel on feminism and women's empowerment organized by the Queen's Commonwealth Trust. The Duchess was joined by five other leaders to discuss women's rights and issues: musician Annie Lennox, model Adwoa Aboah, former Australian prime minister Julia Gillard, Let Us Learn founder Chrisann Jarrett, and Campaign for Female Education (CAMFED) executive director Angeline Murimirwa. Anne McElvoy, senior editor of The Economist, moderated the conversation. Unconscious gender bias fuels the gender gap. Visit https://catalyst.org/biascorrect/ to find the tools to become a catalyst for change. Imani Collective empowers women in Kenya through employment and educational opportunities. Watch this video to learn more about their story. From Shera to Captain Marvel, here are some the wonder women who make us live out our superpowers every day. According to Google Trends, more than ever the world is searching for “black girl magic” — an empowering phrase that celebrates the achievements, beauty and irrepressibility of Black women and girls. The women featured in the film include icons, barrier-breakers and everyday heroes, including Simone Biles, Issa Rae, and Serena Williams. Founder Yolande Morris at BE’s Women of Power Summit — click the link for the official recap. Have you ever met someone who challenged you in the best of ways? Someone who made you want to give more, love people deeper, and live for something beyond yourself? April Tam Smith is that type of person, a person whose radical giving, passion for empowering people, and infectious joy made me walk away from our encounter deeply reflecting on how to give more. April credits her parents with instilling a strong sense of gratitude in her, as well as the responsibility to pay it forward. When her mom was 11 years old, her mom was working in a clothing factory in Hong Kong to provide for her family. When April was 11 years old, her family immigrated to the US where April eventually had the opportunity to attend MIT, then get her MBA at Columbia and start a career in investment banking. April then started volunteering at a number of charities in NYC helping survivors of human trafficking, the formerly incarcerated and the homeless, as well as serving with charities abroad in Haiti and South Africa and kept hearing the same thing from everyone, “I just want a job.” She also had a friend now turned business partner who saw her passion for giving and a number of causes and suggested that they start a small business to fund all these causes that she was so passionate about. With no prior restaurant experience, April took him up on the idea and decided to start a restaurant that would create meaningful work for people who need a job while donating 100 percent of the restaurant’s profits to charity. She also decided to make the restaurant vegan to provide food that was good for both the environment and the body and P.S. Kitchen opened its doors in August 2017. Located in the heart of Times Square, after less than two years of existence, P.S. Kitchen was recently named one of the top vegan restaurants in New York City while providing jobs for more than 40 people in need of a second chance. April has big dreams about continuing to empower others both in the U.S. and abroad and encourages everyone to challenge themselves through radical giving. “Start investing in others even if you are starting off small and then continue to deepen your giving and experience the joy of what giving in a radical way that’s scary and others-centered can do,” April says. Watch Asian American Life’s video profile of P.S. Kitchen here.